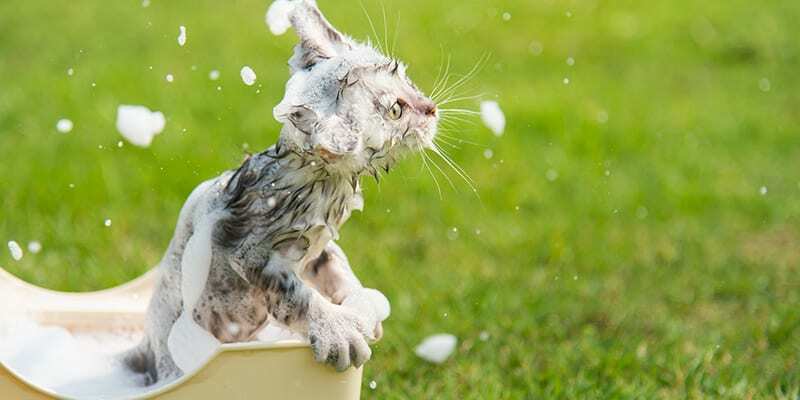 If you’re one of the brave souls willing to wash your cat, we’ve got some tips for you! Cats are well known for their talents for self-bathing. A happy, healthy cat will groom herself after meals and periodically throughout the day just to keep her fur clean. But that doesn’t mean cats never need a bath provided by a human. Cats can sometimes get dirty beyond their ability to clean themselves. If your cat is strictly indoors, she will probably never get dirty enough to need a bath. One exception would be if your cat is obese and can’t effectively groom herself (in which case, a diet is also in order). She may also need bathing if she’s old and arthritic, and can’t effectively groom herself. Outdoor kitties can become dirty with motor oil, plant sap or other gunk that they can’t remove themselves. A bath may be needed for these cats. Unlike dogs, most cats hate water and won’t enjoy being bathed, so it’s important that you prepare before getting your cat wet. Trim your cat’s nails. You cat is likely to try to claw her way out of the sink or tub, so be sure to cut her nails to remove sharp points that might tear your skin. Assemble your tools. Have all the items you’ll need to wash your cat close at hand. 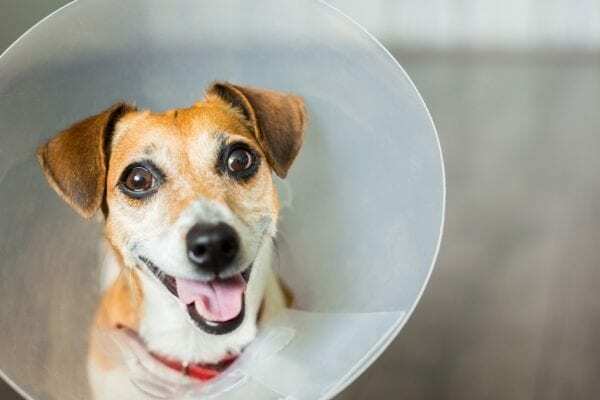 These include a cat-safe shampoo (Vetericyn FoamCare® Shampoo is a good choice), a couple of towels, a pitcher or large cup, and a non-slip surface (a tub mat or yoga mat cut in half or quarters can work). If your cat likes treats, have some of those at hand too. Find an assistant. 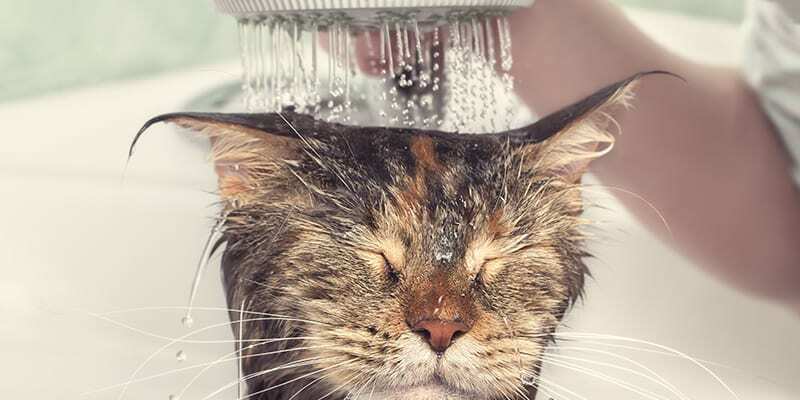 Depending on how your cat feels about baths, you may need help. If your cat is the type to bolt when the water goes on, you’ll definitely need help. Try to find someone who is patient, likes cats and doesn’t mind getting wet. Brush your cat thoroughly before the bath. Fill the tub or sink with three inches of warm water. Ask your assistant to hold your cat while you pour warm water on your cat’s back. Slowly work your way up to the head. Soak the fur thoroughly. Apply the shampoo to your cat’s back. Create a lather and spread it all over your cat’s body, including the top of his head. Pour warm water from the pitcher all over your cat as you rinse the shampoo off. Do this as many times as you need to get all the soap out of his fur. Dry your cat off using towels. Don’t be tempted to use a blow dryer since it will probably scare the heck out of your cat. Once all the moisture has gone from his coat, brush them out. After you’ve bathed your cat a few times, she will come to understand the routine and hopefully put up less resistance. Remember that the younger your cat is when you start bathing her, the more they will come to accept getting a bath as routine. 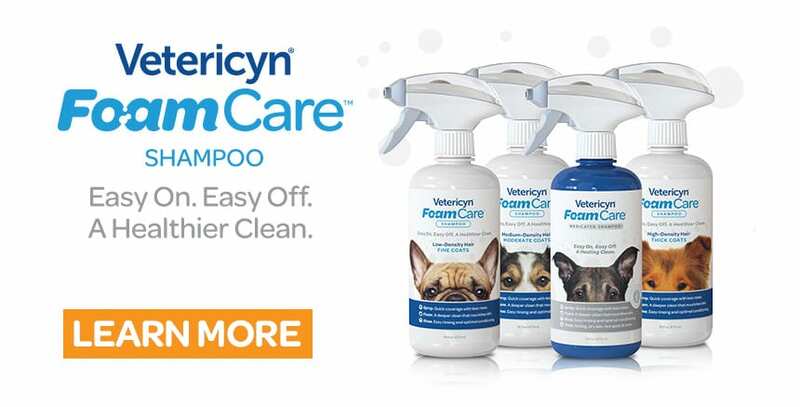 Don’t let the dog on the bottle fool you, cats love Vetericyn FoamCare too! It’s the fastest, healthiest way to wash your cat! 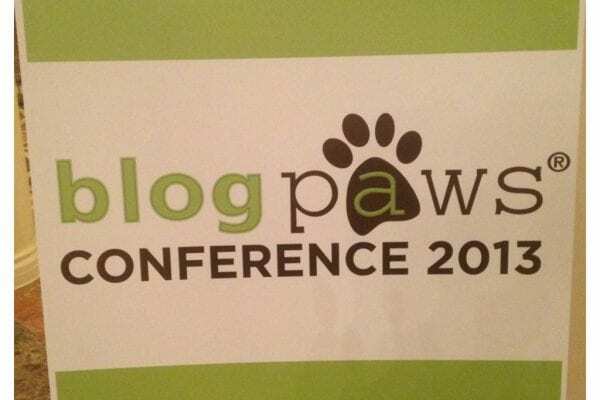 Give it a try for your pet’s next bath.